Star Wars fans rejoice! Another fine set of tables is up for grabs on October 15th for PS on the store. 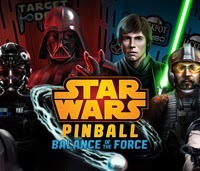 What should players expect to see when they load the Balance of the Force series? 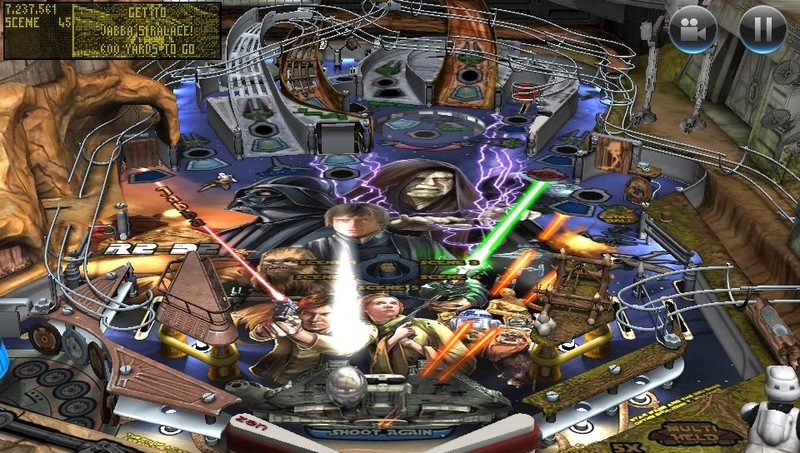 There are three tables in this update on the flipper frenzy that is Zen Pinball and fans of SW will be pleased. As with the other Star Wars tables (Empire Strikes Back, Boba Fett, and the Clone Wars) you expect to see a lot of missions and movie sequences unlocked as you play the game. All three serve up on this area in different ways. You get great music (almost all is original SW soundtracks) and sound effects (again, lightsabers, blasts, ship sounds, etc. are all from the movies). Voice acting is pretty good, although Han gets a little weird sounding in the Return of the Jedi table. His voice was better on the Empire Strikes Back table. And the first time Vader says, "Awesome!" you'll be glad you played. You'll hear all of Vader's signature lines. Plus he says "Awesome" and "Fantastic." Tables allows you to play for the Light or the Dark side, and in the Starfighter Assault table you choose which ships you fight with. Tight controls, easy to change camera angles, hidden ramps and flippers, bonus missions... all the little things you look forward to using when you jump into a pinball game. Graphics are super slick, and the lights and blasts are fun and entertaining, not distracting to the gameplay. Each table plays differently with different missions to look forward to. 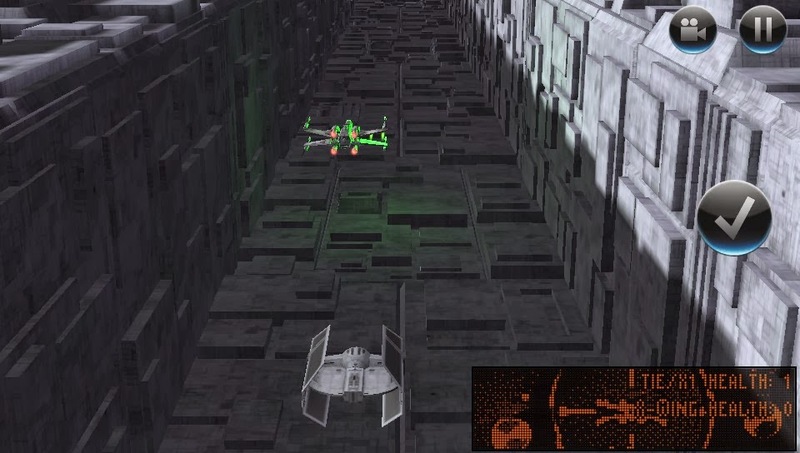 In Return of the Jedi, you get to embark on a speeder bike chase, flipping the ball to change direction and shoot the scout trooper in front of you. 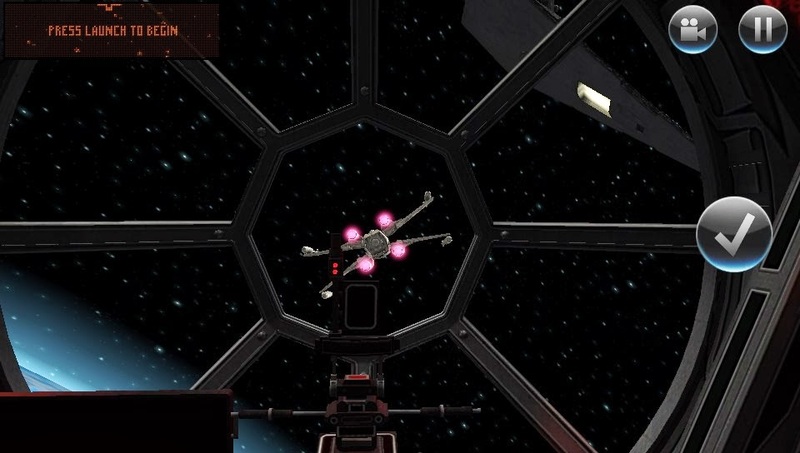 In the Starfighter Assault version, you hear the classic TIE fighter attack music and gun down your enemies in a Space Invaders type mini game. 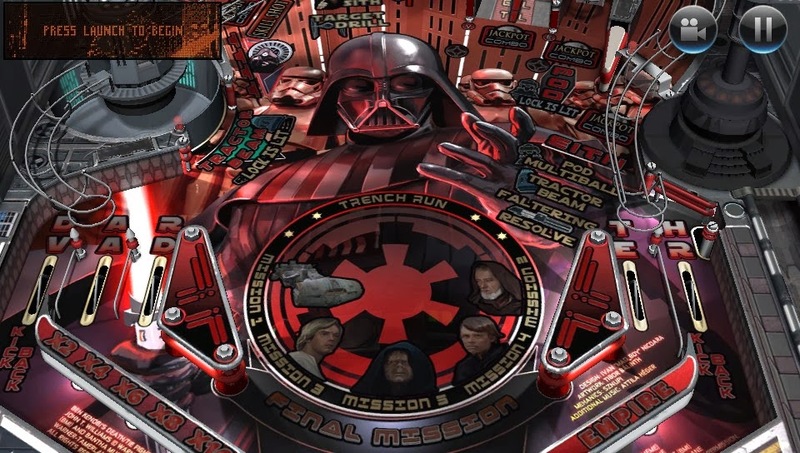 And in the Darth Vader one, you make the classic trench run and attack the X Wings trying to destroy the Death Star. Sure, they aren't all pinball related, but each are fun little diversions from the main table, and of course are part of the plot, too. Which will you like the best? The series will be $10 for all three tables. Pretty good quality and quantity for the price tag. The Return of the Jedi table has a lot of variety to its missions. You're working to bring down Jabba, riding through the forest, knocking out the Death Star II... good exciting stuff. 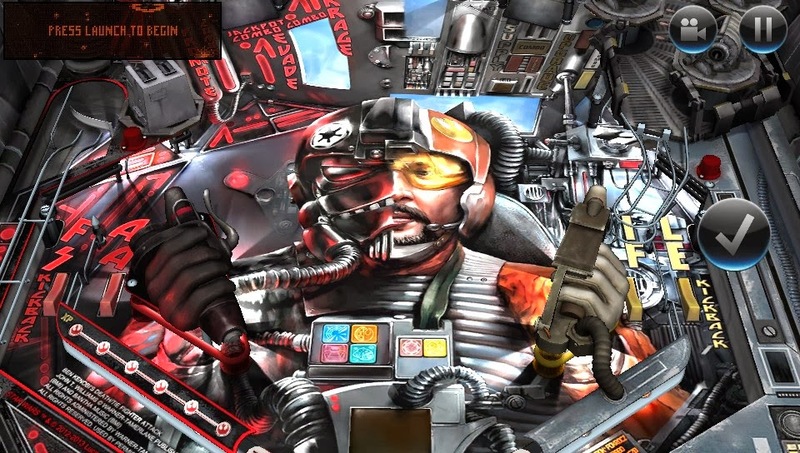 The Starfighter Assault has you in the seat of a no name rebel or TIE pilot, the first of which looks like a cross between Biggs and Porkins. You fly missions to knock out the opposing forces. And finally the Darth Vader table has you assume the role of the Sith lord himself. You engage in classic lightsaber duels with Ben Kenobi, Luke Skywalker, and even pilot your TIE advanced in the trench run. Enjoy quick (yet addicting) pick up and play games... perfect for the Vita! like cross buy games. Two for one on the PS3 and Vita. Thanks to Zen Studios for the PS3 and Vita review codes. Game was played and reviewed on the Vita, as are the screenshots.